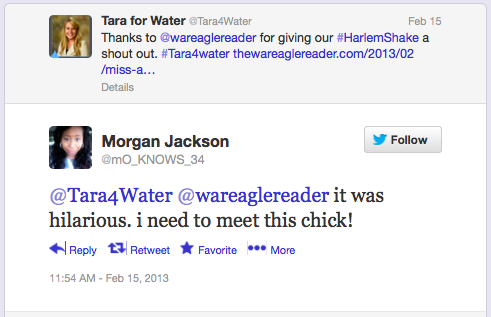 Harlem Shake sensation Tara Jones was announced as the new Miss Auburn late Tuesday night. Whether it was spur of the moment or seemed like just another Harlem Shake video, Tara Jones went for it, and it worked. The new Miss Auburn said making the video, which in just five days has been viewed more than 7,000 times on The War Eagle Reader alone (it was also widely shared on Facebook), started as a last minute attempt to draw a crowd to her campaign kickoff last Wednesday afternoon. However, Jones’ uninhibited, solo boogieing at the beginning of the video may have been what made the biggest impression on students. Post by Tara For Water. 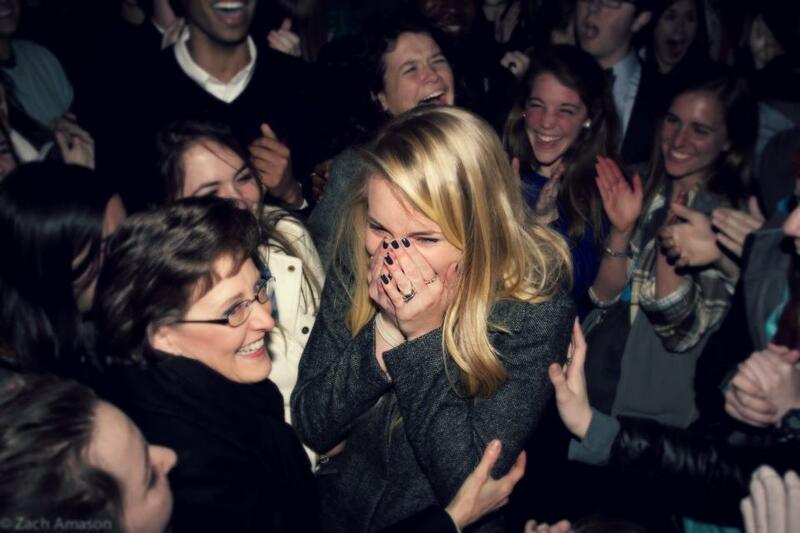 Auburn student Morgan Jackson, daughter of Bo, felt the same way. Jones said the amount of publicity she received from the video was unexpected. With approximately only 60 people at her “Tara For Water” campaign kickoff, raising $4,000 to assist in worldwide water crisis seemed like a lofty goal, Jones said. At her benefit concert Saturday night, $4,000 was already behind her. 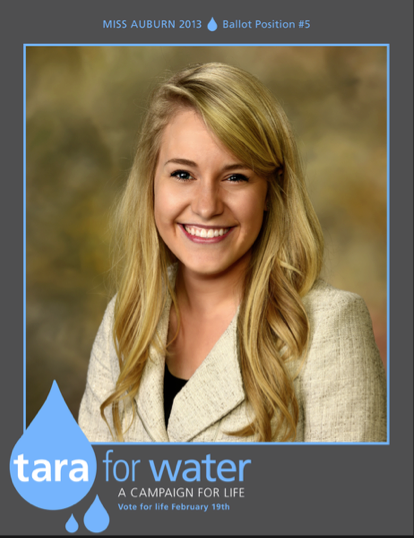 In one week, Tara’s campaign raised more than $7,500. She partnered with three non-profit organizations dedicated to raising money to build wells and sending water purifiers to countries without access to clean drinking water. And she isn’t stopping here. You can watch Jones’ do the Harlem Shake here. Related: Cam-paign Coup: Cam Newton poses for Auburn SGA president.